Advocacy is NEHA’s way of being a voice for environmental health professionals on policy, regulatory and legislative issues. Recent environmental health crises such as Zika and water in Flint, Michigan painfully demonstrate that Congress has failed to invest in the core environmental health services that keep our communities safe and healthy. Now more than ever our government must recognize and support environmental health. The growing population requires a significant investment in leading public health agencies across the country and environmental health programs, including a well-trained and credentialed environmental health workforce. Please contact your Members of Congress and Senators ASAP to request that they support $1.9 billion in emergency funding for Zika. As Environmental Health professionals, you all know that the best way to stop Zika is a strong investment in Vector Control programs and working within your communities. The White House, after speaking with scientists from around the country, has asked for $1.9 billion investment to both combat Zika virus and provide mosquito control. 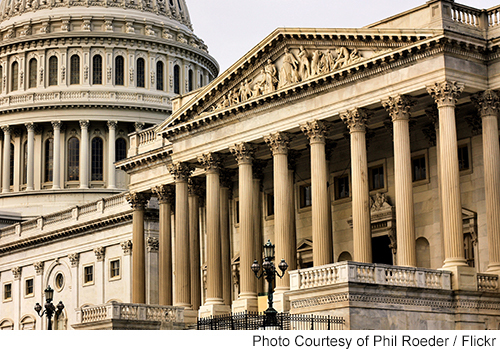 The Senate is poised to pass a compromise bill for $1.1 billion today. However, there are Senators who want this legislation to exempt state and local entities from federal permits to spray mosquito pesticides used for combating the Zika and West Nile viruses or Dengue fever. This would weaken the Clean Water Act. Even worse, the House bill only commits $622 million for Zika, with half coming from Ebola funds. It’s just a terrible bill all around. Therefore, we need your help today! To support $1.9 billion in emergency funding for Zika without any language that would weaken the Clean Water Act. We cannot spray our way out of the Zika problem and rolling back the Clean Water Act and the Federal Insecticide, Fungicide and Rodenticide Act is not acceptable. As environmental health professionals, we know that environmental health is profoundly local. That’s why we need targeted investments in Environmental Health programs to prevent lead poisoning, legionella disease, and many other devastating water borne health issues. Senator Stabenow understand’s this problem and has introduced with many of her colleagues (Inhofe, Peters, Portman, Brown, Kirk, Durbin, Burr, Reed, Boxer, Mikulski, Capito and Baldwin) a bipartisan bill that invests in CDC/HRSA/ATSDR public health programs. Negotiations are continuing behind the scenes, but no movement yet. Keep the calls and letters going they are working! We can't do it this alone. Please take a moment to send the letter below to your Senator today. The threat of Zika is real and growing every day. Environmental health professionals know that the best way to stop Zika is a strong investment in vector control programs and working within your communities at a profoundly local level. NEHA urges Senate to pass the $1.1 billion Zika bill without waivers or amendments. Please call your senators today and request that action be taken on Zika funding. For more information about Zika, check out our vector control page.